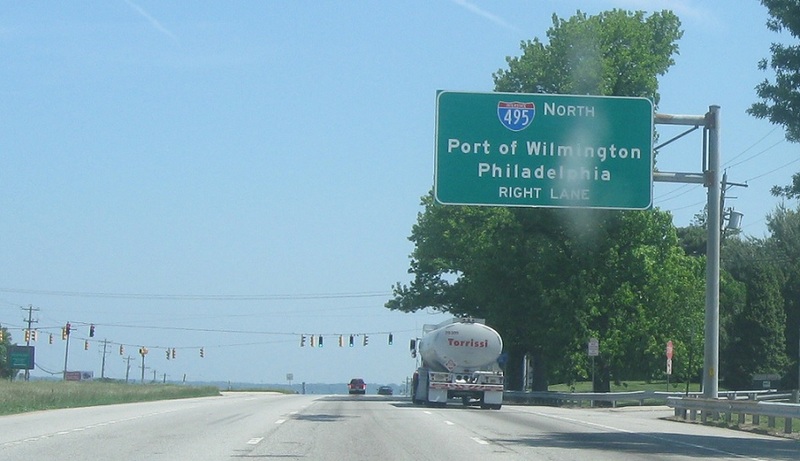 After the I-295 interchange, we’ll pretty quickly come up on I-495. Keep right for I-495 north. Keep left for US-13 nto town. 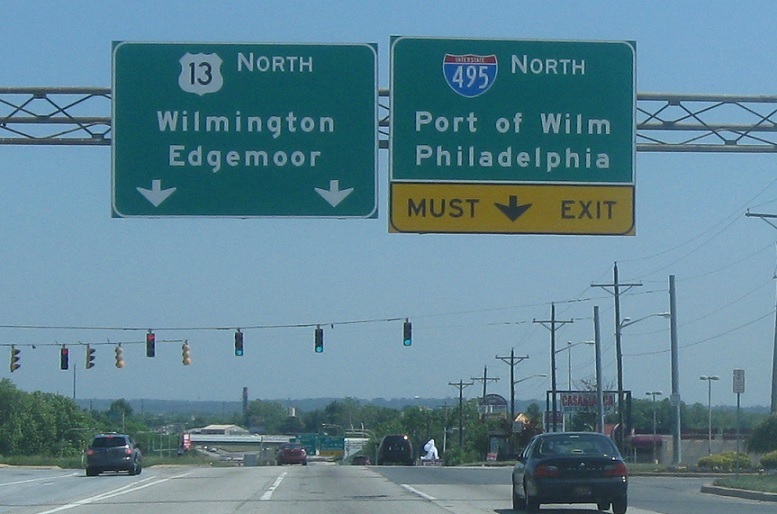 Exit for I-495 north, which heads around the east side of Wilmington. There’s no access to I-495 south. 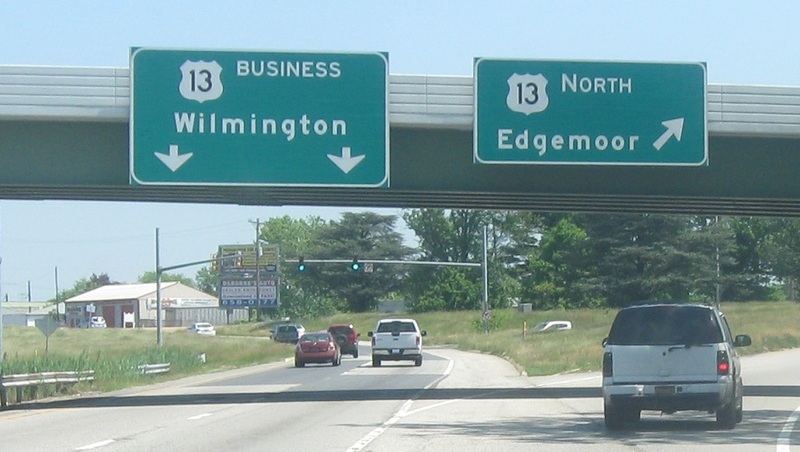 Right at I-495, US-13 Business will split from US-13 to head into downtown Wilmington. 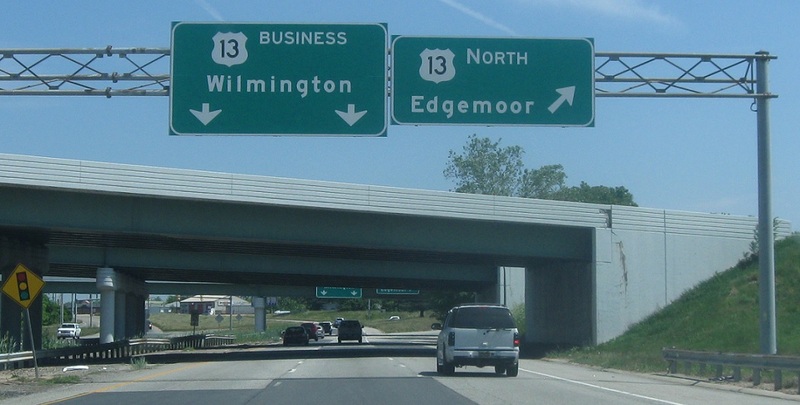 Exit for US-13 north. 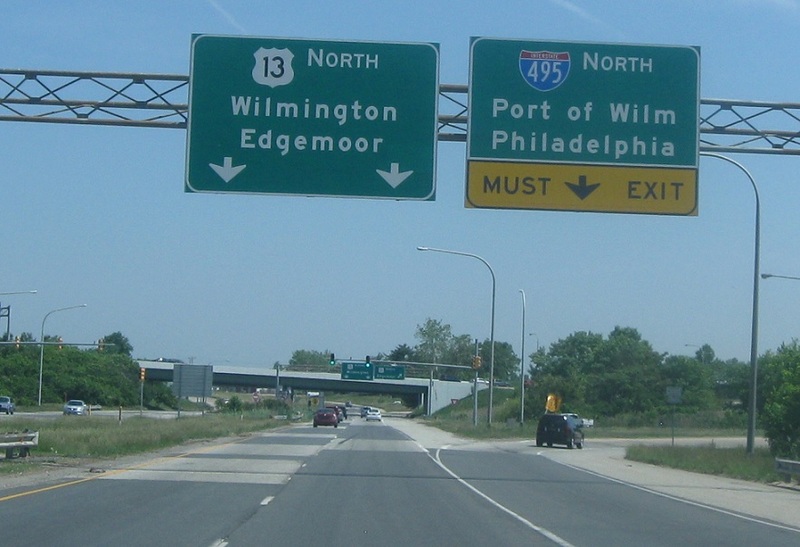 Stay straight for old 13 into Wilmington.